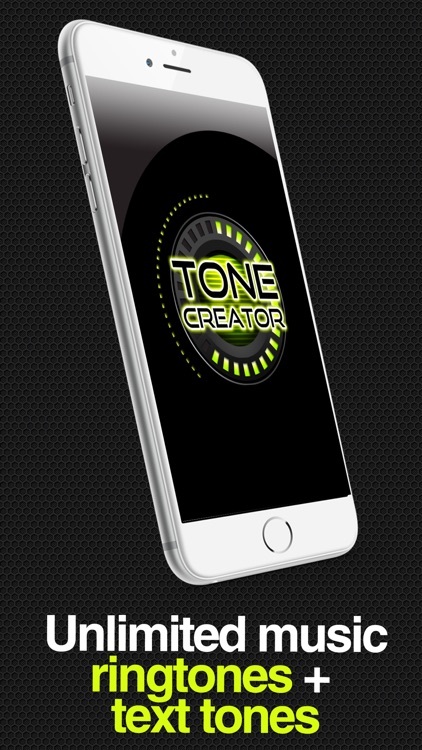 ToneCreator Pro - Create text tones, ringtones, and alert tones! 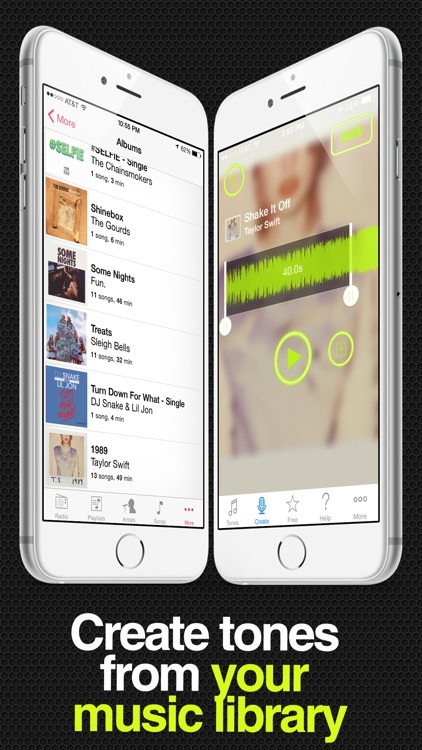 Pick a song from your music library. Choose the starting point and ending point and that’s it! 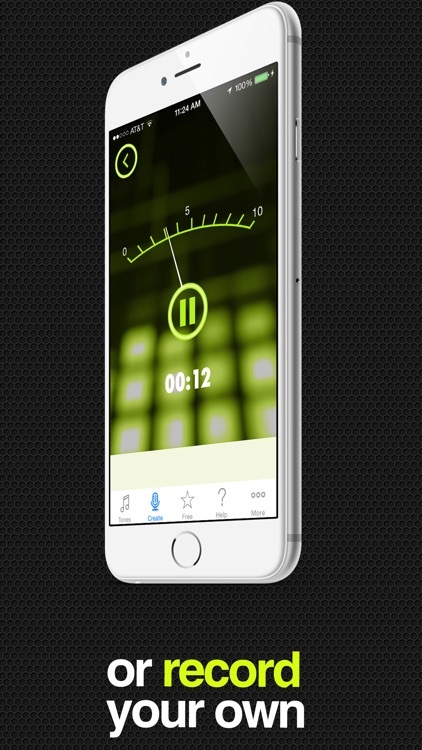 Supports extra long 40 second ringtones plus the option to add a smooth fade in and fade out for that professional touch. 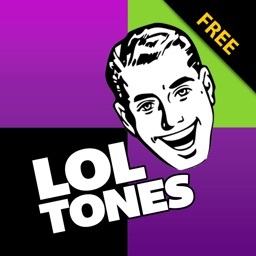 Create ringtones at maximum quality. 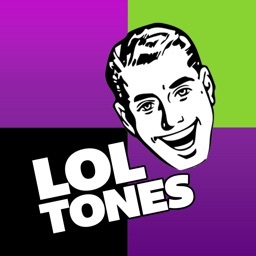 Stereo, rich bass, perfect high’s low’s, and don’t sacrifice any instruments reproduction. 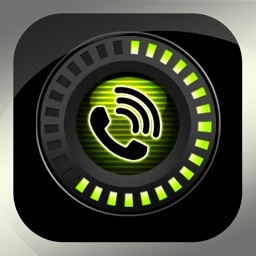 Record anything and make an original ringtone or alert tone. Record your friends, kids, parents, funny TV or Movie Quotes. 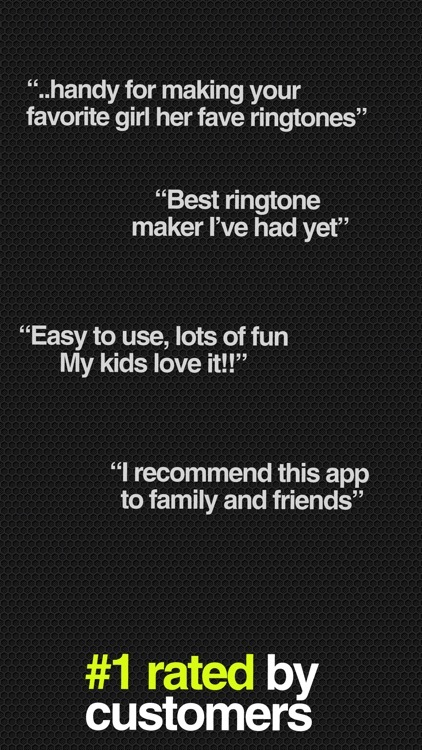 You can now turn anything into a ringtone or alarm tone. 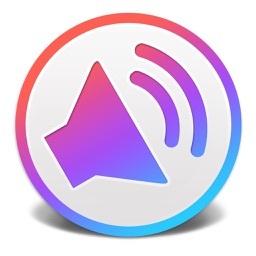 Enable "Voice Tuner" and sing your own tones -- you will sound like todays rap artists or pop singers. 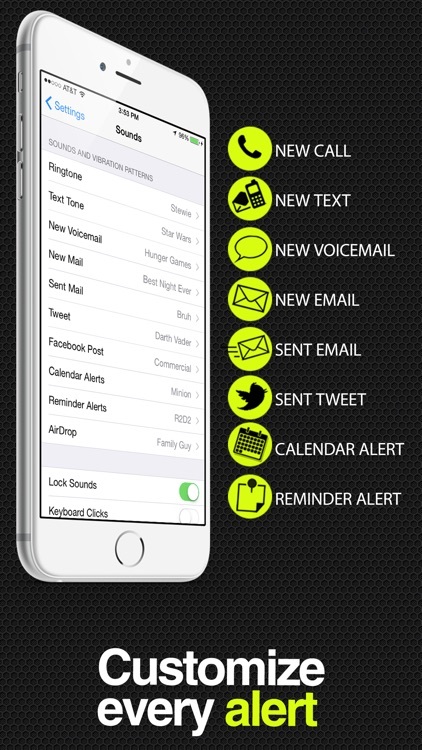 Want to have a different tone play for each friend in your phonebook? Assign a unique ringtone for each caller so you can tell who is calling you or texting you. 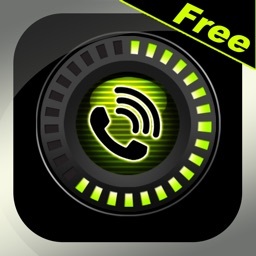 Make a free ringtone for Mom, Dad, your friends, boyfriend or girlfriend, husband or wife. 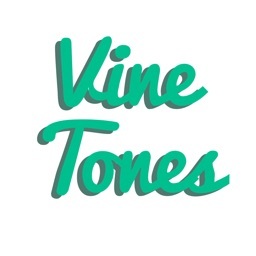 Your friends will thank you for creating tones from their favorite songs. For advanced music tone makers, we have included separate fade in / fade out controls, a visual waveform preview, and the ability to manually enter times . Ensure perfect precision with timer accuracy down to milliseconds plus waveform zoom support so you can pick that exact spot.